Rare indeed are 70-goal scorers still in their late twenties who can’t crack a starting lineup. 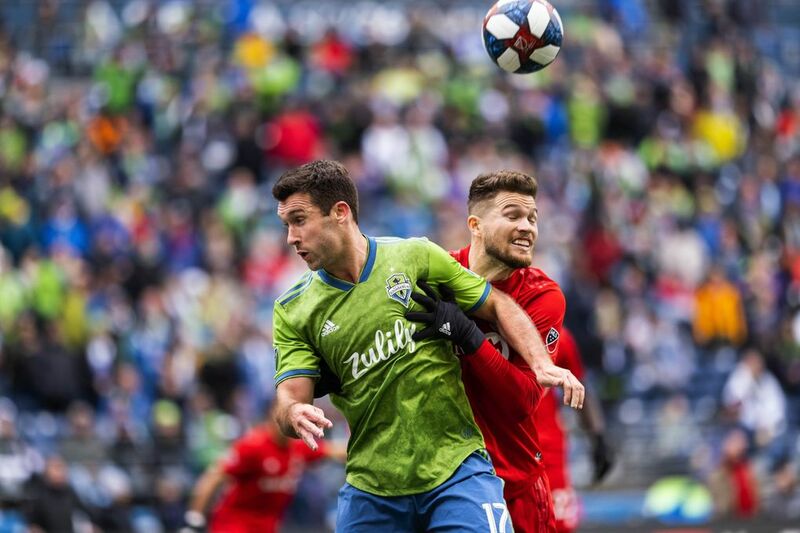 But in the case of Sounders veteran Will Bruin, he even found himself in the ego-checking position of suiting up for the lower-division Tacoma Defiance not too long ago to stay in game shape. 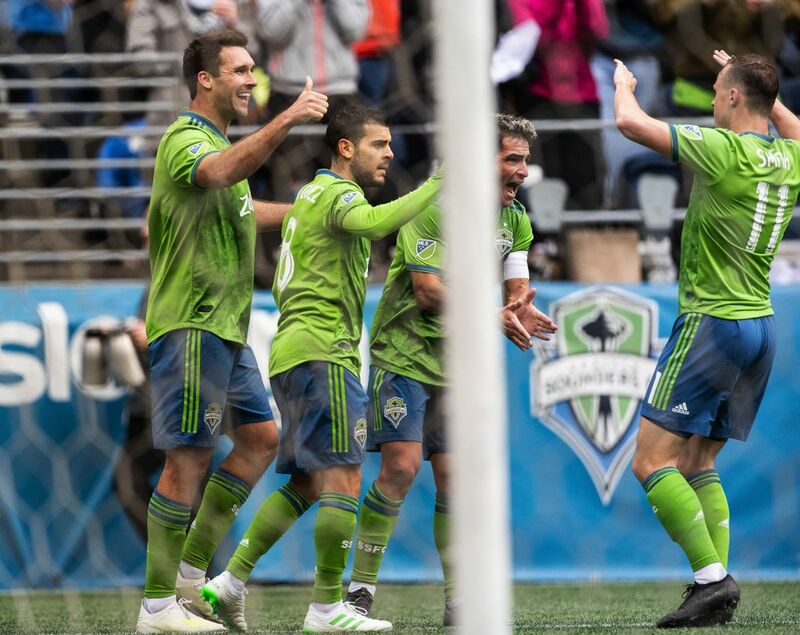 Bruin, who scored his first two goals of the season in a 3-2 victory Saturday over Toronto FC, and Sounders coach Brian Schmetzer admit they’ve had some spirited discussions in recent weeks about how he’ll be used. 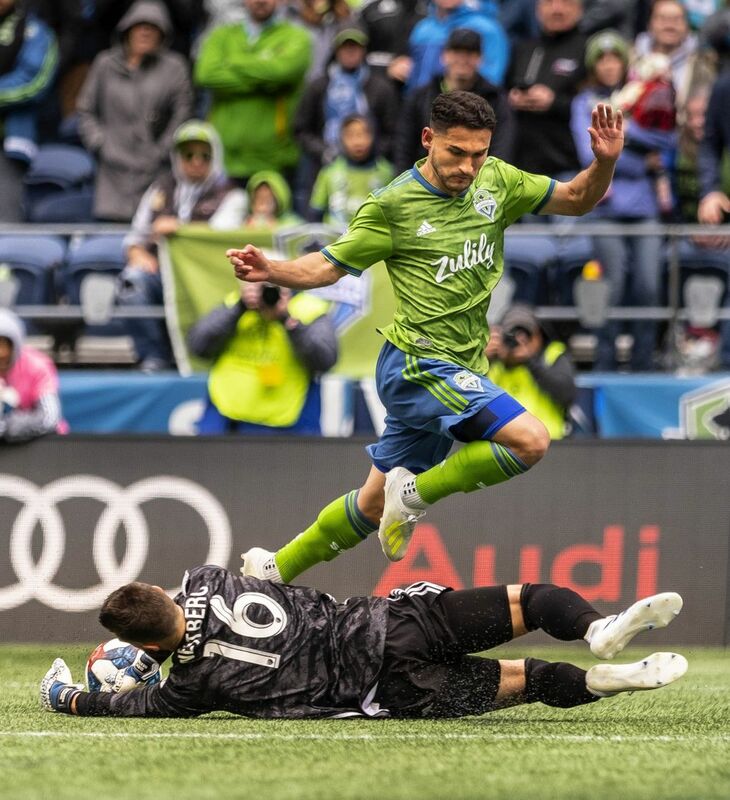 Subbing in again Saturday for injured striker Raul Ruidiaz, Bruin showed in his team’s biggest game thus far that he hasn’t lost his finishing touch. 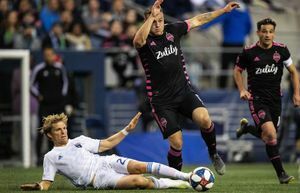 Twice, he found himself alone in the box on the receiving end of crosses from Brad Smith and made them count both times. 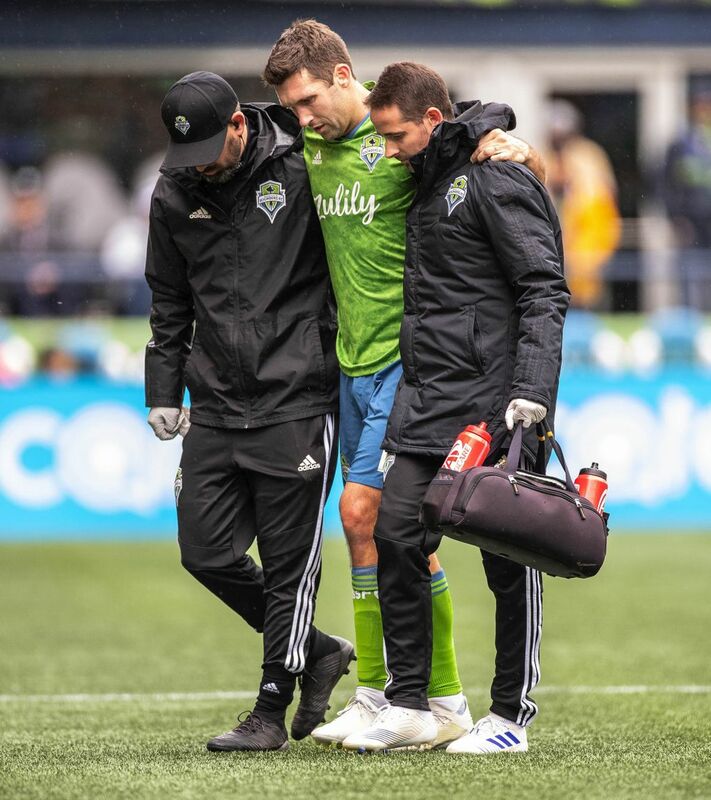 About the only thing that went wrong for Bruin was injuring his left hamstring and being forced from the match in the 79th minute. He’ll be re-evaluated Tuesday but said after the game his leg was feeling better than it did when he came off. 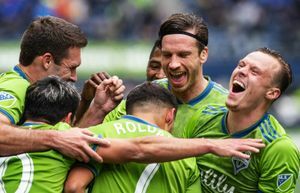 Cristian Roldan also scored for the Sounders, who handed Toronto its first defeat in front of 37,722 fans at CenturyLink Field who saw a battle of unbeatens more than live up to its billing. 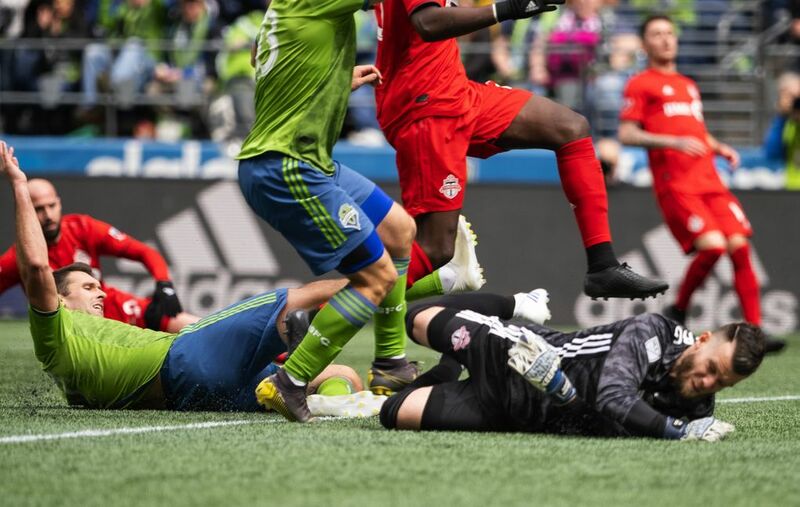 Jozy Altidore scored twice for the visitors while Spanish import Alejandro Pozuelo nearly tied it in stoppage time only to be robbed by a diving Stefan Frei stop with his left hand. 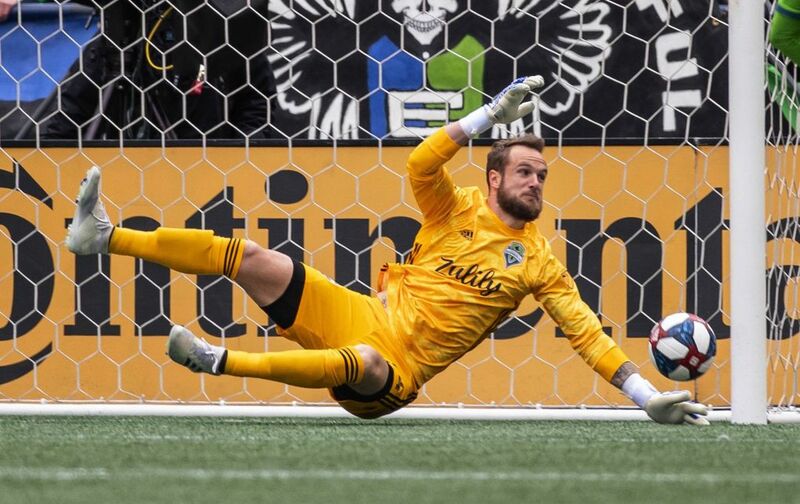 Frei, of course, made a left-handed stop off Altidore in the 2016 MLS Cup final to preserve an eventual Sounders championship. 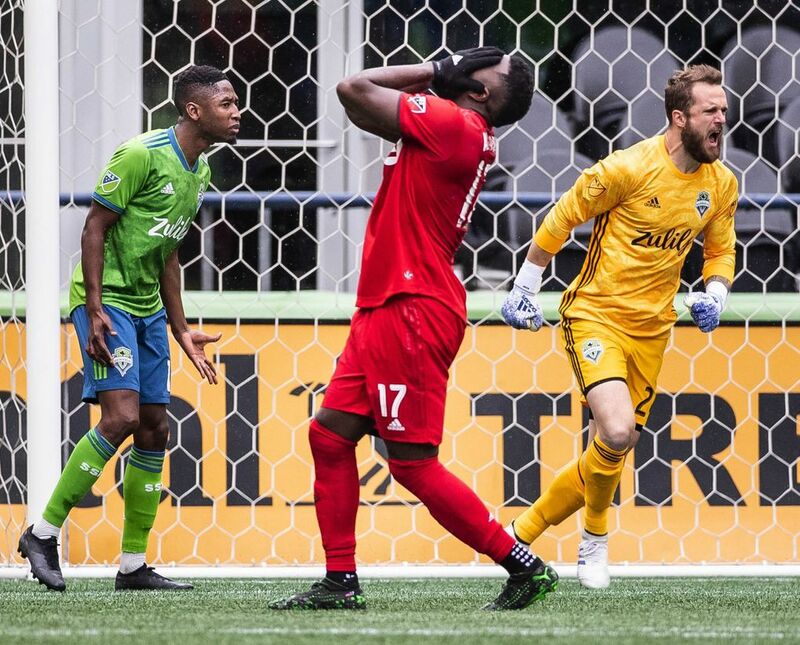 A year later, in the finals rematch between these teams, Altidore scored the second-half winner as the Sounders suffered a 2-0 defeat. 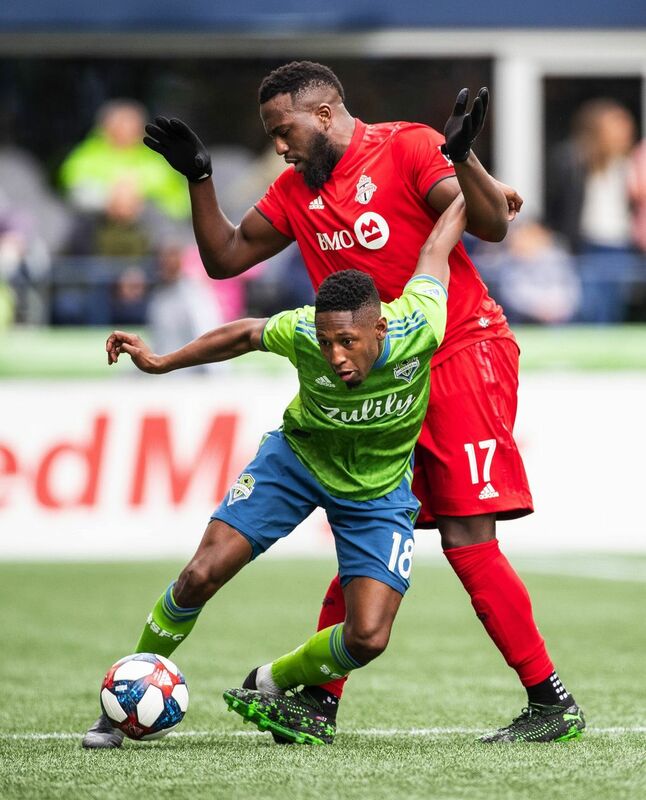 Altidore struck again in the 14th minute, heading home a chip from Pozuelo at close range to put the Sounders behind for only the second time this season. 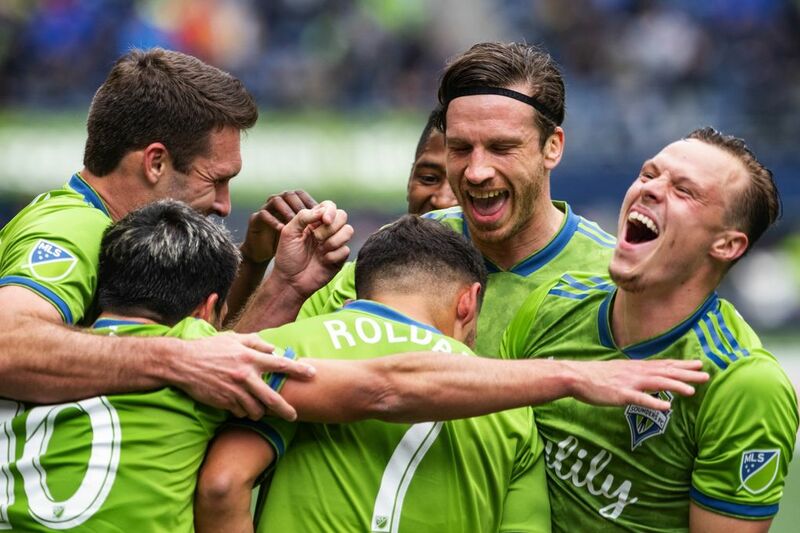 At that point, given their travel woes of the past week, the Sounders could have chosen to start making excuses. 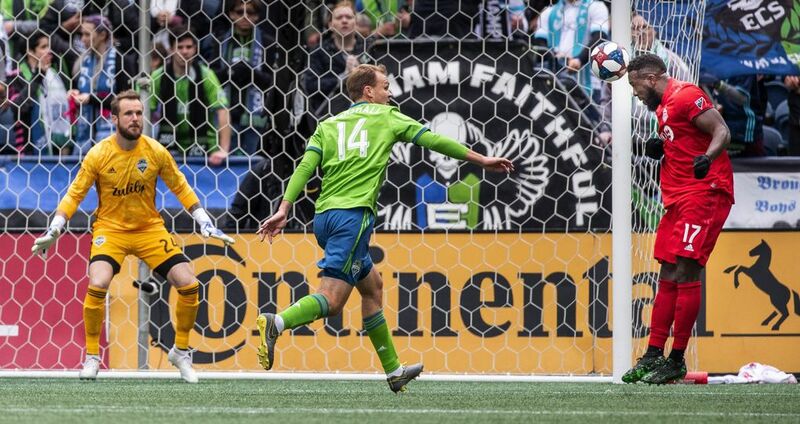 Instead, they upped their game, poured on the attack and had a tying header from Bruin by the 24th minute. 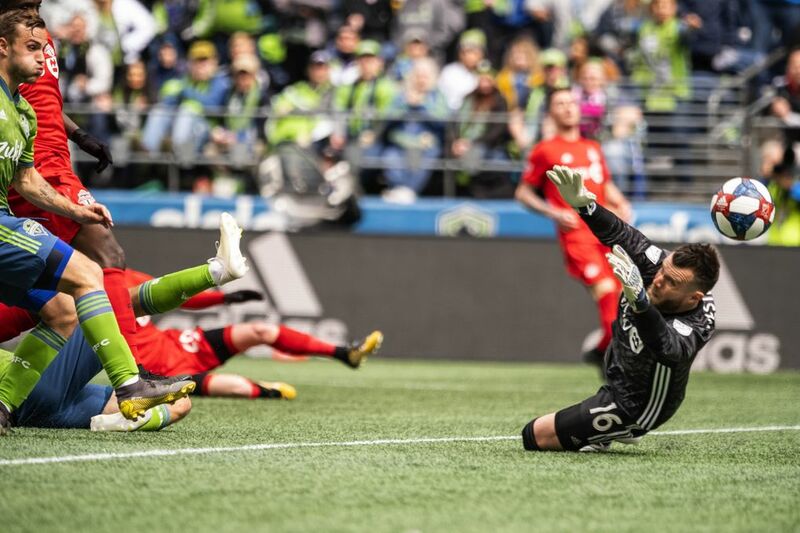 After the Sounders dominated the remainder of the first half, Bruin put his team ahead to stay in the 66th minute by sprinting into the box and sliding to tap home a Smith cross. It was the 70th-career goal for Bruin (who won’t turn 30 until October), whose playing time has steadily declined since arriving from Houston. 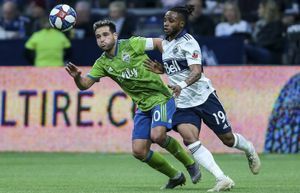 “I have had many challenging conversations with him about how he fits within the squad,’’ Schmetzer said of Bruin, who was bumped to a reserve role when Ruidiaz transferred to the Sounders last July. “The underlying thing in every single conversation I’ve had with Will Bruin … is he’s always about being an honest guy. He always works. He always does what we ask him to do. 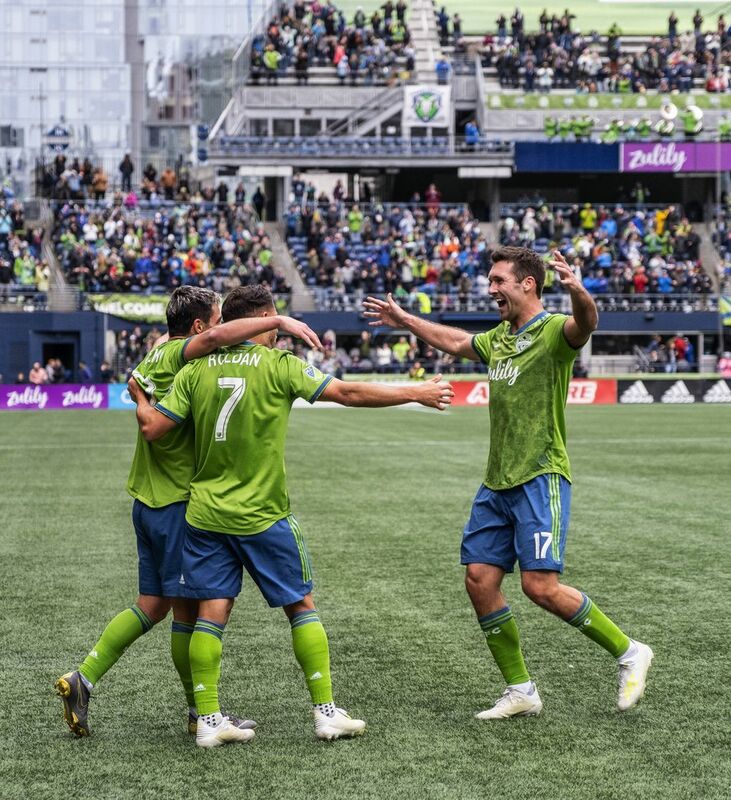 With the crowd still roaring after Bruin’s goal, the Sounders moved in for the kill. Roldan took a pass from Kelvin Leerdam on a dead run and buried it top shelf behind Quentin Westberg for a 3-1 lead. 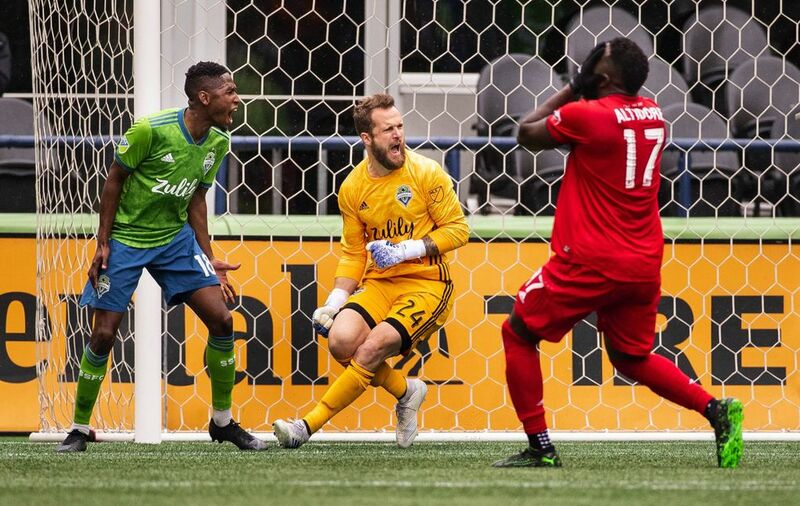 Though Altidore narrowed the deficit just two minutes later by banking one in off the far post, Frei shut the door from there. 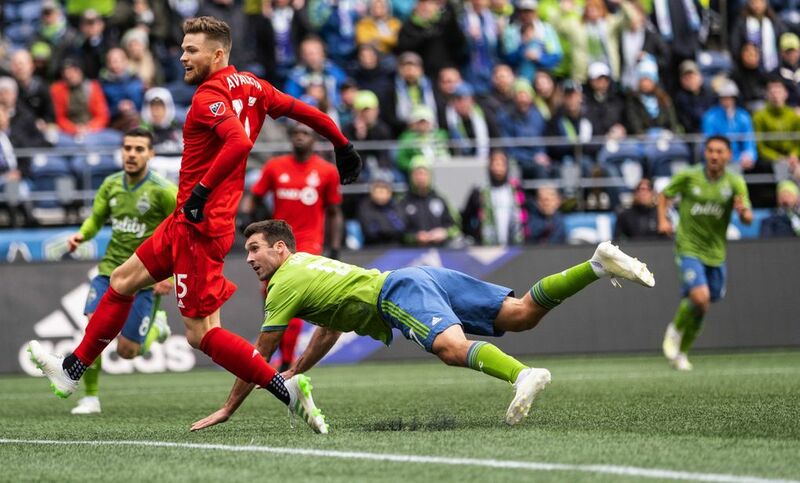 Roldan stopped short of calling it a “statement win’’ when asked, though he stood by prior comments that the Toronto game and three others in a one-week span before May against Los Angeles FC, San Jose and LAFC again could alter their season’s course. 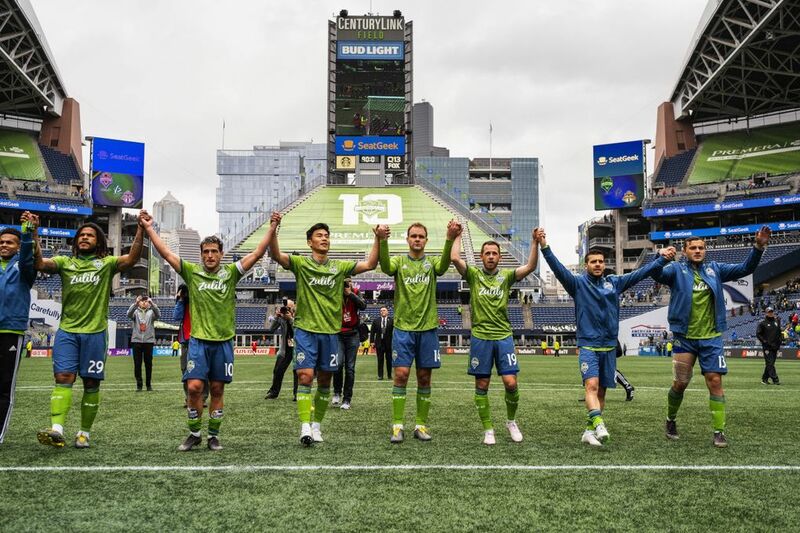 “I do believe that the next week will define us,’’ Roldan said. Bruin is letting his on-field play define him, though it’s been a challenge staying focused and fresh with just two starts in nine months before the past two weeks. 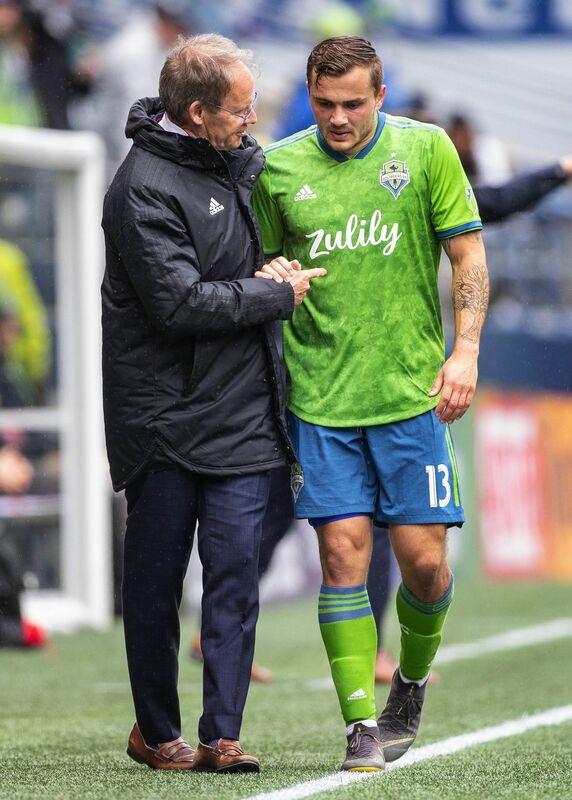 He admitted the conversations with Schmetzer haven’t always been pleasant. 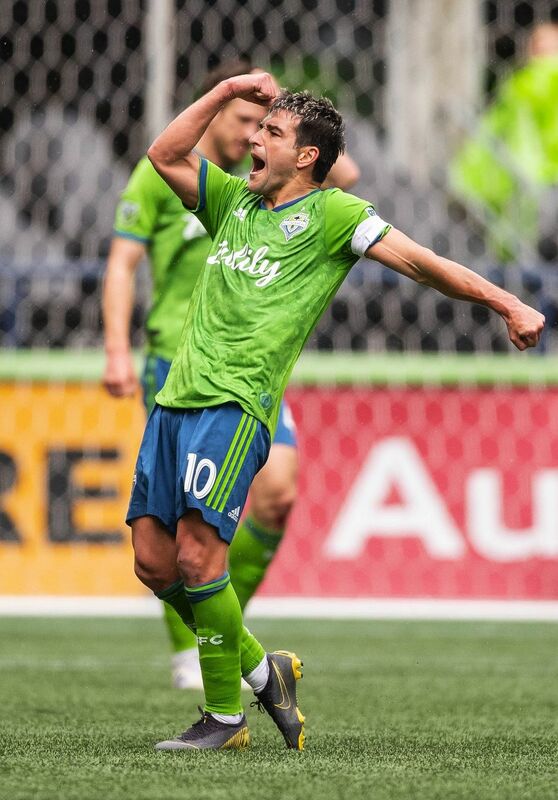 So are the Sounders, perhaps being reminded that the league’s fifth most active scorer isn’t quite done yet.